Even if you don't happen to be friends with Patrick Star, Sandy Cheeks and have a pet snail named Gary, that shouldn't stop you from taking The Sponge Bob out in search of Bikini Bottom. This charming catamaran, based in Split, is ideal for both young and old as you sail along the Adriatic. Take the kids north toward Sibenik and the Island of Murter where they can build sand castles on Slanica Beach and search for starfish in its warm shallow waters. 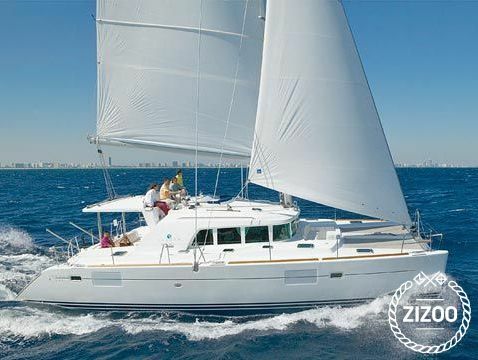 Have your favorite family join you for the ride as this 2008 Lagoon 440 sleeps 8 comfortably in 4 cabins, with 2 extra berths in the salon to spare. Enjoy some grilled fish on Kornati Islands or head on down to Vodice where there are loads of bars and cafes for the adults and mounds of jumping castles, trampolines and water play parks for the kids. Discover the pleasures that the Adriatic has to offer and feel free to contact the crew to help you out with all your sailing needs.